Educational Qualification: MA (English) B Ed. Shougrakpam Bijaya Devi, was a member of Indian Navy's 'Navyka Sagar Parikrama' team who circum navigate the globe in 254 days. The team covered 30,000 nautical miles to circum-navigate the globe. She completed her graduation in Manipur. She studied in Tiny Tot's Unique School and graduated from DM College of Arts in English Honours. She completed her Masters in English from Delhi University. She did not aim to join the Indian Navy although she wished to be in active service. She participated in various co-curricular activities during her school days. She studied science stream in +2 and pursue graduation in Arts stream. She did not know that Arts graduate students can apply for Technical jobs in Navy. She applied for a job in the Indian Navy through online after she finished her Masters. She was called for Interview by Short Service Commission (SSC) to Bhopal and selected. She joined the Indian Navy in December 2012. As the lone daughter among five siblings, her parents were not interested to go for the interview to Bhopal alone. But she convinced her parents. She did not missed her first ever opportunity, so she joined the interview and got selected. The idea of circum-navigation of the globe was of Admiral (retd) Manohar Awati. Sagar Parikrama is the brainchild of Retired Admiral Manohar Awati. Since childhood, to circum-navigate the globe on a vessel made by India was a wish for Manohar Awati. In 2009-10 Captain Dilip Dhonde alone was on a world expedition. Then, in 2012-13 Commander Avilash Tomy took up Non-stop Sagar Parikrama. On September 10, 2017, the six members all women team left INS Mandavi Naval training base near Panaji. 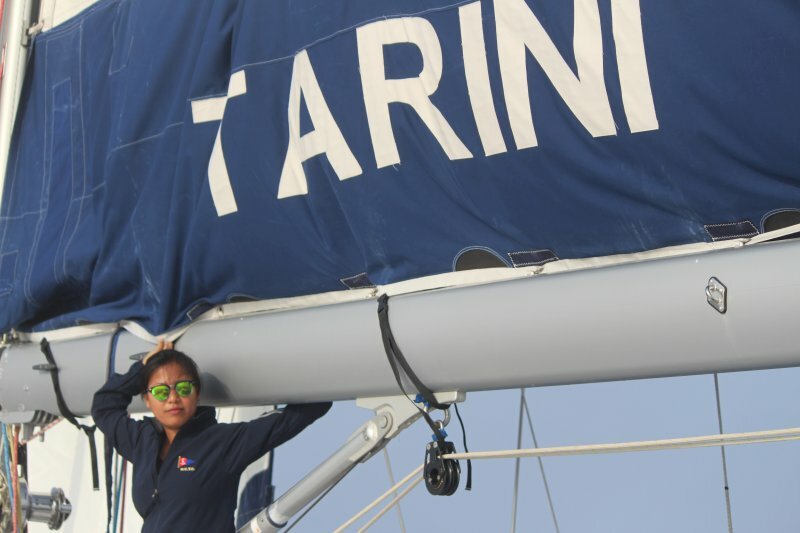 They sail out on INSV Tarani. After spending 254 day in sea and covering 21600 nautical miles, the team successfully docks at Goa in May 21 this year. The team includes Lieutenant Commander Vartika Joshi (skipper), Lieutenant Commander Pratibha Jamwal (Hal Officer), Lieutenant Commander Aishwarya Bodapati (Electrical Officer), Lieutenant Commander P Swathi (Navigator Officer), Lieutanant Sh. Bijaya (Seamanship Officer) and Lieutenant Payel Gupta (Logistics Officer). The journey was the first among women and first among women military (defence). Certain criteria of their journey was sailing on a sail boat, sailing by wind power, no engine like a aero-dynamic principle and charging through wind generator. Other criteria includes crossing Mwin Cape (Australia), Horn cape (South America), Good Hope cape (South Africa), crossing the equator and Antipode twice and also crossing the prime meridian too. They cross three oceans which are Indian Ocean, Pacific Ocean and Atlantic Ocean. The team landed in Cape Town in South Africa, Fremantle in Australia, Littleton in New Zealand and Falkland in Iceland where they took up logistic and repairment planning. But unfortunately while returning from Cape Town the main steering of the vessel stopped working that caused emergency stoppage at Port Luis in Mauritius. They took three days and cross 180 nautical miles per day to dock at Mauritius to repair the steering. So the team landed in five countries before reached the finishing point. "the journey was at maximum life risk. But, the confidence with self was a must. So before venturing out for the journey their officer accessed their enthusiasm. We studied about our experienced officer, the training and related books. But, we can't say what we will come across, the wind control procedures, if over boat and over wind power causes then we may face hardships. As the journey may be so challenging, we prepare our self mentally and physically. I am in the navy's education branch. There was an approach that only lady's Navika Sagar Parikram is being set for the first time. Lieutenant commander Vartika Joshi, Lieutenant commander P Swathi and Lieutenant commander Pratibha Jamwal was approached and they voluntarily accepted it. The approach reached our signal and a team of 20 lady officers under Captain Dilip Khande were trained in Goa to help the three officers. There was some limitation because the journey was a life challenging mission. Our determination and our preparedness was a priority. " "The southern ocean is more risky than other oceans. There is no transportation in this part. We were able to collect marine pollution data and data which are required by the Indian Meteorological Department. Through internet's wi-fi we keep in touch with our family during our 254 days journey. Only 100 Mb per day to talk with our family member is permissible while we send our status report twice to the department. With deep regards to my profession and the cautions we took during the journey, the journey was successful. We don't face any health related problems but we were brief before we set out. Some minor defects in controlling the wind power, shield and some minor health related problems were faced during the journey. Before joining the Indian Navy, Bijaya did not even know how to swim and she is water phobia. Joining the navy was a challenge for her and she had to work hard to be in this profession. She loves to sail as sailing was one of her hobbies since childhood. 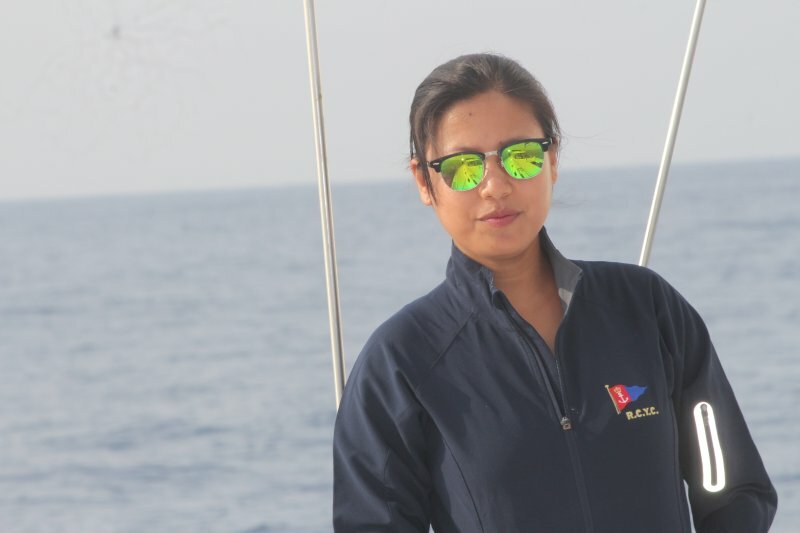 Where, she could win a gold medal in the women category at the India Navy Sailing Championship 2015. Not only Manipur, the whole north eastern states lacks in working with the navy. We lack encouragement because we have no oceans and we did not come across exercises. Some friends even ask me whether I am in the merchant navy. Indian Navy has many branches. I am in the education branch. There are traffic control, law branch and medical branches too. For education branch, post graduate in general stream is mandatory and direct recruitment through Short Service Commission is conducted. Likewise, graduate in Physics and Mathematics is compulsory for air traffic. And after passing +2 one can join through NDA, CDS. We north eastern youths are in lack of awareness. " 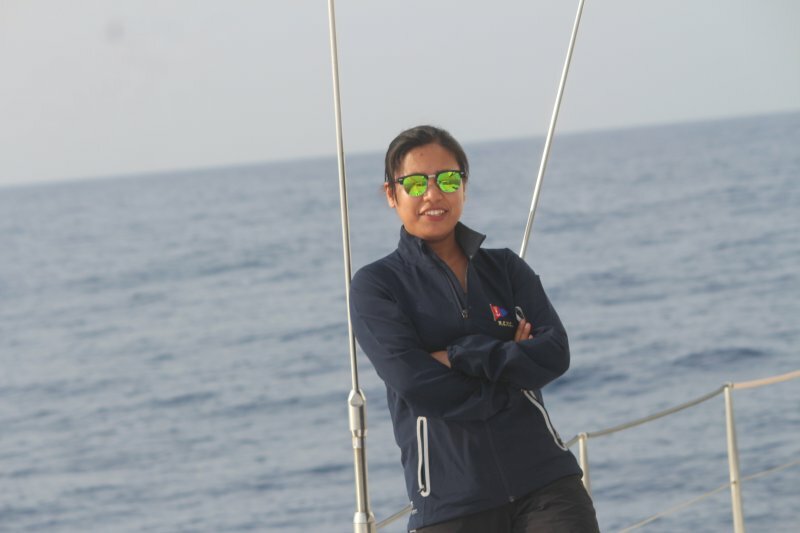 Bijaya was among the six sailors who were awarded the Nari Shakti Puraskar 2016 by the Indian government in recognition to their endeavor to circum-navigate the globe. This article was posted on August 20 2018.